This implant software add-on is for existing users of AcqKnowledge for Stellar Telemetry. 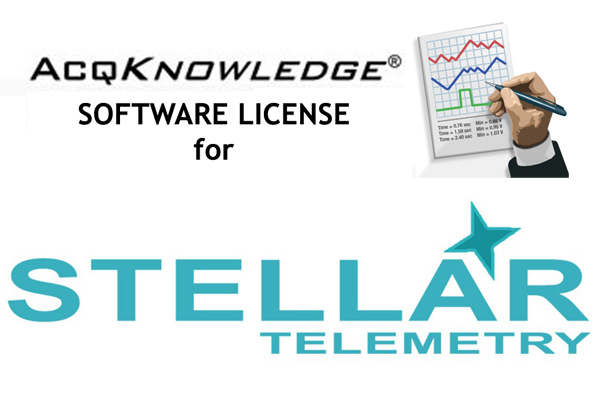 Each small animal telemetry license adds AcqKnowledge software support for one (1) additional Stellar implant. A license is required for every ACTIVE Stellar sensor. 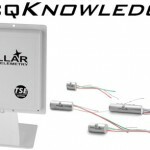 AcqKnowledge for Stellar Telemetry (ACK100W-STL) provides licensing for up to six (6) implanted sensors. A license is required for each additional active sensor. If 50 Stellar sensors were purchased but only 10 were implanted, a total of 10 licenses would be required (1 x ACK100W-STL + 4 x ACK100-STL1-9). Licenses purchased at the same time include a cost savings, with increased savings as the number of licensed purchased at the same time increases: 1-9, 10-49, or 50+. Easily integrate multi-animal scheduling, telemetry data recording, video monitoring, and fully-automated signal analysis. Enhanced user interface and menus simplify operation. New Measurement Result Mouse-Overs. Quick-Start Templates. Each license adds AcqKnowledge software support for one (1) additional ACTIVE Stellar implant. Stellar Small Animal Telemetry system and implant(s) are not included. Use the power of AcqKnowledge Software for seamless integration of animal scheduling, telemetry data recording, video monitoring, and fully automated signal analysis for a variety of physiological signal types. AcqKnowledge includes a fully-automated analysis package for Stellar telemetry data. Use the included tools to customize your data view and easily select which channels of data you would like to see. View a subset of animals, or a subset of signals (e.g. BP, ECG) with the click of a button. Use the Stellar Analysis routine to extract the mean measures of each signal (e.g. mean systolic, diastolic, HR, temp) for each recorded data segment along with standard deviation values. Customize the output by selecting only the measures you are interested in. Results are automatically exported to Excel for further review.